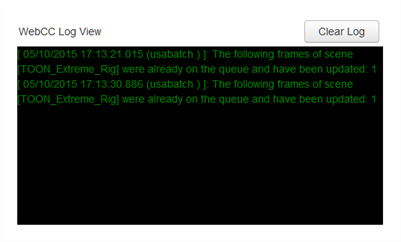 The WebCC log view displays the log of operations done on the Harmony Server database. Green messages aresuccessful operations, orange messages are warnings, and red messages are errors or failed operations. Select Help > View Log. TIP To clear all messages from the Log view, click Clear Log.